What is Shutterstock? If you're looking to buy stock photos, you likely must have come across them multiple times: Shutterstock is a favoured stock photo agency (and we even have a awesome Shutterstock Coupon Code here), with a huge and high quality stock photo library, international touch, innovative ideas and technology, competitive pricing, and a long history of delivering stock photos to the general public. Their constant addition to their innovation –like their computer vision based, visual search tool and their free online image editor— prove their dedication to both buyers and sellers of stock photo all over the world. It's no surprise it's in the first positions in our Best List of Stock Photo Sites! Is it the only agency that you should consider when looking around for a stock photo agency to supply you with creative images for your business? If Shutterstock is not meeting your criteria for images, price or search, look at the other stock photo agencies below. There are other websites like Shutterstock that offer quality stock photos and stock vectors for less, or with less of a subscription investment. Before we do our comparison, it's important to make clear that at some of the listed agencies the price per image might not be less than that of Shutterstock, but in those cases the minimum upfront investment needed to purchase stock photos is minor than the one Shutterstock requires. This is an important factor to identify when looking at stock photo options. 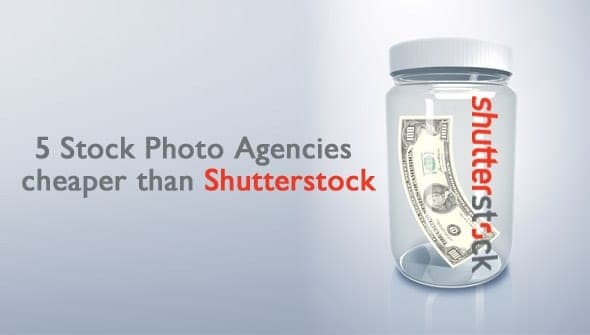 If you run a small business, you may not have the flexibility to invest thousands of dollars a year to get the lowest $0.26 price per photo at Shutterstock. Even if the cost per image is a bit higher, if you can invest less money in stock photos and get the amount of images to cover your needs, you still come out the winner! 99Club is a new membership program created by us, Stock Photo Secrets, and specially designed for small-to-medium businesses working on a tight budget. With this plan you can download 200 XXL images for the whole year for only $99 per year. You can access over 4,000,000 stock photos, vectors and fonts, and get additional images for as low as $0.99 each! Deals like this don't last forever, so make sure to get your 99club subscription today! Learn all the details of this offer in our 99club review. 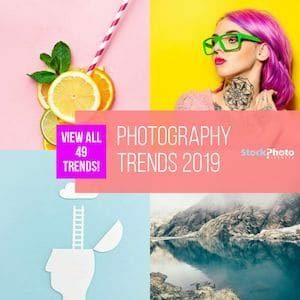 iStock is a pioneer and renowned online stock photo agency, backed by parent company Getty Images –one of the most prestigious stock photography companies in the world–. They stand out for their level of curation, which divides their entire (and very large) library in two main collections, each with a pricing tier. One is Essentials, which hosts non-exclusive, budget images; the other is Signature, full of high value and exclusive images. Read more in our full iStock Review. Essentials collection is comparable to Shutterstock’s collection in content type and variety, but has cheaper price points! You can get Essential images on demand with credits. They cost only 1 credit each and depending on the image pack you get you will pay between $8 and $12 per photo (and you can buy only one if you want, an option Shutterstock doesn’t have). As for subscriptions, you can get plans for Essentials images only, and you have a choice for 10, 25, 50, or 750 images per month. Plus, you can choose to hire these plans monthly or annually (they’re billed monthly, but annual option is cheaper). Like this, you can pay from $29 and up to $199 per month, getting photos for as little as $0,21 each! Additionally, there’s also subscriptions that include both Signature and Essentials images. These plans are a bit more pricey than those of Shutterstock, but when you think about it you’re getting a lot more value as well, with exclusive premium photos you won’t find anywhere else. So it’s also a good deal. Check all iStock prices and plans here. 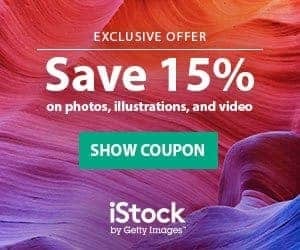 BONUS: for a limited time, we have a great, exclusive iStock Promo Code that gives you 15% off in EVERYTHING including credit packs and subscriptions! That’s right: whatever credits or subscription you choose, you get it at a cut price! Hurry up and grab it now, it’s only valid for a limited time! Adobe Stock is a young but robust and reliable stock photo service, whose large library of images is available directly within Adobe Creative Cloud applications –making it a very convenient option for all creatives using Creative Cloud design tools–. They sell images with subscriptions, for 10, 350 or 750 downloads per month. Prices start at $49,99 for monthly plans, and at $29,99 per month with annual subscription. They also offer high resolution images a la carte, for $9,99 each. If you have a subscription for 350 or more images, each additional photo costs you only $0.99. Adobe Stock adds value to their service with their full integration with Creative Cloud platform. Their affordable prices added to the possibility of searching, testing and licensing stock photos right from your favorite design app certainly makes them worth considering. BONUS: You can try Adobe Stock for free with this special Adobe Stock Free 1-Month Trial, which gives you 10 free images for one month! Get a complete look at this service in our Adobe Stock review. Bigstock is since years a subsidiary to Shutterstock, and represents a very reliable alternative to buying stock photos, with a much wider price range. They offer subscriptions with a daily download limit –5, 10, 20 or 50 images per day–, starting at $79 a month, that you can hiret for 1, 3, or 12 months. There's also plans with a monthly download limit, for 25 and up to 200 images per month, priced from $69 per month. Like Shutterstock, you can also purchase Bigstock images with credit packs which includes large, high res photos. Being a subsidiary of Shutterstock, this agency can be resumed easily: Great deal, nice prices. BONUS: They even offer a 7 day free trial – where you can download up to 35 high-res images or vectors for FREE! And there's more! Our special Bigstock Coupon Code lets you save 15% off your purchase! Check our Bigstock review for more information. An established agency, with a respectable position in the top 6 of the industry, Depositphotos offers varied subscription options for every budget, making them a low investment and cheap alternative to buy stock photos. They include a flexible plan of 10 images a month for only $9,99. And they also have options for 75, 150 and 750 downloads a month, which start at $69. All their plans can be monthly or annual, and they also offer image packs to buy photos on demand. If you want cheap, flexible, and good quality, Depositphotos is a trustworthy company that meets your stock photo needs. BONUS: You can get 5 Free Photos plus 15% Off in your purchase with our special Depositphotos Coupon Code! Read our Depositphotos review for more details on this agency. Plan your budget, plan your photo needs and then find the cheap stock agency that fits your criteria. A bit of planning goes a long way when deciding which stock photo agency is best for you!